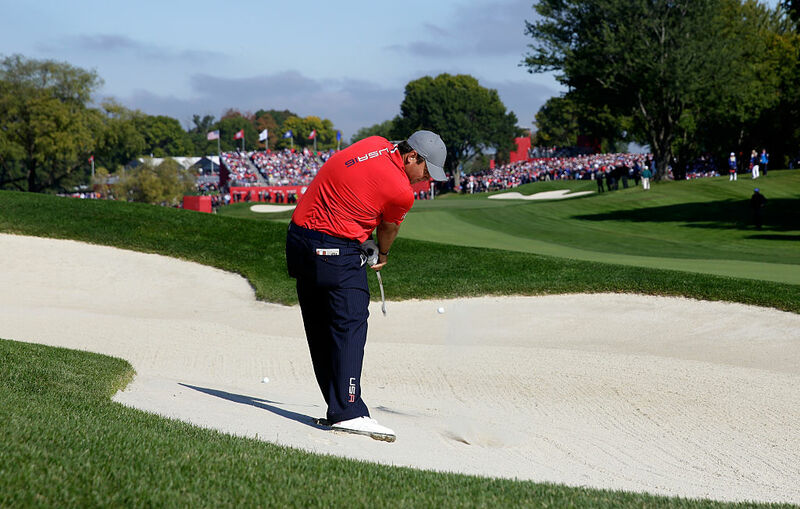 One shot that gives as much pleasure as any is the long iron nipped from the surface of a fairway bunker. The pros rarely make a hash of these because they never try to hit them too hard, and well, they are classy ball strikers no matter the lie! Given a reasonable lie and no sharp lip less than five or six yards in front of you, you too can play a classy shot that will Bite and spin just like the pros. Settle your feet well into the sand to give a firm anchor and grip down a little on the shaft. Concentrate on the front of the ball – eyes on the back of it tends to encourage a steep attack – and keep your height through the shot. Keep those legs passive, make an easy swing - don't scoop - and finish high. Make no mistake about it, a fairway bunker shot is a tough shot, and one often fraught with danger, especially if it's around the 50 to 70-yard mark. But with a bit of practice, you will be executing it with ease.